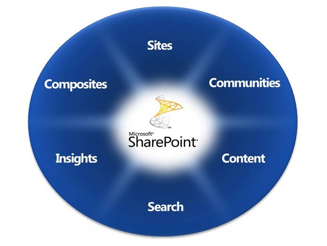 SharePoint 2010 Products and Technologies Insights focuses on the elements, features and tools that simplify the business decision making process. What I’m referring to is the business intelligence (BI) concept that includes a set of techniques, methodologies, tools and platforms for quick access to key organizational data. BI provides visualization and allows you to easily analyze, understand and make predictions about a company’s activity. Together, CloudShare and SharePoint play the role of a real decision support system (DSS). SharePoint Server 2010 Enterprise Edition (EE) has a very attractive set of BI features and tools. CloudShare simplifies the process of setting up a business decision platform available through CloudShare Web Access. The complete BI stack in SharePoint 2010 has elements like the integration of SQL Server Reporting Services (SSRS) and SharePoint, PerformancePoint scorecards available through PerformancePoint Services (PPS), quick access to Excel data through Excel Services, and other jewels like Access Services, Visio Services or the .NET Chart controls and Silverlight integration in SharePoint. CloudShare’s Information Worker VM Template allows you to try all of these capabilities so that you can quickly set up a DSS for your organization and provide simple access. SSRS Integration with SharePoint 2010 – create rich and powerful reports using Report Builder of BI Management VIsual Studio. Consume legacy data (relational or dimensional), publish, and visualize your reports on SharePoint sites. Microsoft has simplified the integration process between SSRS (available from SQL Server 2005 – SQL Server 2012) and SharePoint, highly improving reports. Create a table, matrix, chart, or free style report using list type. For each report, you can create data groupings, define parameters, etc. Business Intelligence Center site collection template allows you to define a centralized location for the creation and publication of BI artifacts such as performance point scorecards, excel service sheets, etc. PerformancePoint Services available in SharePoint Serve 2010 EE allows you to create flexible and dynamic BI elements including scorecards, dashboards, and analytical charts. You can create KPIs for your organization, place on a scorecard, and publish to a dashboard. Ensure you have properly configured PPS using either SharePoint 2010 Central Admin or PowerShell cmdlets. Run the Dashboard Designer from your SharePoint site and define a first data source. Decide which PPS artifact you’d like to create. Excel Services facilitate the publication of Excel sheets or workbooks to SharePoint, accessible through an Internet browser. 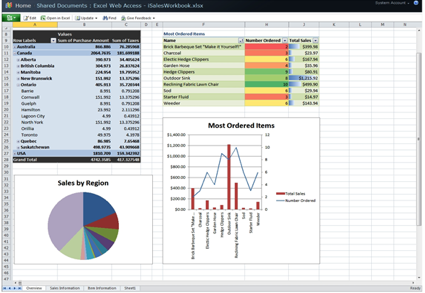 You can create Pivot Tables, charts, and more in Excel 2010 and publish to Excel services. Visio Services permit the publication of Visio diagrams to a SharePoint site. Diagrams can be static or dynamic depending on the data source. .NET Chart control native integration in SharePoint 2010 so you can use the existing Chart Web Part or create custom Web Parts. BI Search through FAST capabilities, permitting the search od BI data inside BI elements. PowerPivot and PowerView (available with SQL Server 2010 integration) for data analysis and self-service BI. 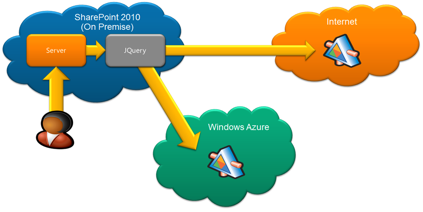 That explains how CloudShare and SharePoint 2010 can serve as a DSS for your organization.